There’s a difference between knowing about a school and really getting to know a school. You can learn about Severn through our website and recommendations from friends and family, but the best way to really get to know us is to visit. You'll be treated to a full campus tour, meet with an admissions officer and get to know Severn students and faculty. Most importantly, you’ll get a sense of Severn School culture and begin to picture yourself as part of our community. 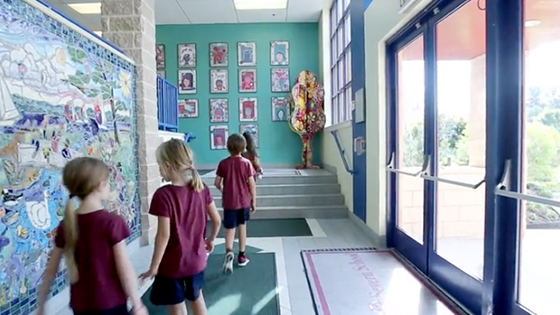 To introduce you to Severn School, we urge you to schedule a campus tour. On our Chesapeake Campus (grades preschool through 5) we encourage tours in the morning to learn about our program and see the teachers and students in action. To schedule a campus tour on the Chesapeake Campus please email the Admissions Office or call Sue Richburg at 410.647.7701 x2040. On our Teel Campus tours for upper school (grades 9-12) are scheduled every morning at 8:15 and every afternoon at 2:00 with our Student Diplomats. Tour for middle school (grades 6-8) are scheduled at 8:30 a.m. Campus tours on our Teel Campus start in the Admissions Office in Teel Academic Center. To schedule a campus tour on the Teel Campus please email the Admissions Office or call Wanda Ned at 410.647.7701 x2267. The initial campus tour is the first step in starting your Severn experience, but we don't think one visit is really enough. Once you've submitted your application it's time to spend a day in the life of a Severn Admiral with a class visit day. Our youngest applicants spend 1-3 hours in class while older applicants spend a full day. For a full-day visit, you'll be paired with a current student, join classes, explore the campus and meet our students and faculty. We invite you to be a Severn student for a day, so you can envision yourself as part of our community for a lifetime. To schedule a Middle or Upper School class visit day on our Teel Campus, please email Wanda Ned or call 410.647.7701 x2267. To schedule an Early or Lower School class visit day on our Chesapeake Campus, please email Stacy Arnold or call 410.647.7701 x2040. Applicants for grades 2-5 are required to come for a full day class visit/observation. During this visit the student will join a classroom of their current grade level and have an educational assessment done by our grade level teachers. Grade 5 applicants are required to take the ISEE. Typically, parents meet with an admissions officer once the student has departed with his/her host for the day or when they come to pick the applicant up.